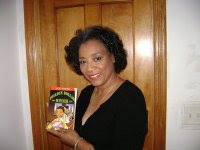 Arlene Jones - Featured Columnist Austin Weekly News: Hey, REMINDER : little louie GOT A BIG $200.000 LOAN FROM BOENDER! Hey, REMINDER : little louie GOT A BIG $200.000 LOAN FROM BOENDER! U.S. Rep. Luis Gutierrez personally lobbied Mayor Richard Daley to back a controversial multimillion- dollar development for a campaign contributor who had just lent the congressman $200,000 in a real estate deal, a Tribune investigation has found. Now the congressman' s unusual gesture of support is under federal scrutiny as authorities investigate how developers overcame city planners' objections to convert the West Side industrial site into a more profitable residential and commercial development. Authorities have obtained Gutierrez's July 7, 2004, letter to Daley—written on U.S. House stationery—as part of their grand jury investigation into how zoning works inside City Hall, sources told the Tribune. Gutierrez said there is no connection between the loan and his letter of support for the Galewood Yards project, which is not in his district. In a written statement, the congressman said his involvement was "extremely minimal" and "entirely appropriate. " He said he has not been contacted by federal authorities. The federal investigation comes as the Tribune's "Neighborhoods for Sale" series documents an insiders' game in which politicians rake in millions in campaign cash from developers and other real estate interests while often overriding concerns of homeowners and city planners. It is a system that has fundamentally reshaped the character of city neighborhoods. Calvin Boender, the developer of the Galewood Yards project, has been a longtime campaign donor to Gutierrez and a major contributor to Ald. Isaac Carothers (29th). As part of their investigation, federal authorities have subpoenaed city records related to Boender's project and three others that Carothers backed in his West Side ward. Gutierrez, an eight-term Democrat, was elected to Congress in 1992 and is seeking re-election in November against little-known Republican and Green Party challengers. Boender did not return messages requesting an interview. Gutierrez sent the letter of support after buying a vacant lot from Boender at 1007 W. Fulton St. with the help of a $200,000 loan from him. The congressman provided the Tribune with bank documents stating he repaid the loan at an above-market interest rate. It is not unusual for one party to lend the other money to complete a land deal, Gutierrez said, adding he got no unfair financial advantage and actually lost money in the 2004 investment. He praised Boender as a reputable businessman. "I know him and I know his good work," Gutierrez said. Over the years, Gutierrez has enjoyed a close relationship with several developers. He has entered into real estate deals with them, and they have helped finance his re-elections. Gutierrez said there is nothing wrong with such relationships, in part because he has never used his public position to help developers who do business with him. In an interview last year, Gutierrez emphasized that he never gets involved in local zoning matters. "One of the reasons that we're very careful about our real estate investments is that I don't have anything to do with zoning changes. I don't write letters of recommendation; I don't have a vote on the zoning committee. . . . I've done nothing using my official capacity as a [congressman] ," Gutierrez said. Boender of Elmhurst has developed projects throughout Chicago and has donated generously to local politicians—particul arly to Gutierrez and Carothers. Through interviews and records obtained under the Freedom of Information Act, the Tribune pieced together how Boender found success at Galewood Yards, where previous owners had failed. It took Boender years of haggling with reluctant city Planning Department officials, even as he enlisted the support of Gutierrez, Carothers and other aldermen. City Hall rejected a previous proposal to build houses and commercial businesses on the property, citing the Daley administration' s policy of preserving scarce industrial areas to promote manufacturing jobs. Boender bought the property from CMC Heartland for $6.9 million in July 2000. In the following year, he and his companies contributed $18,000 to Gutierrez and donated to Carothers, giving him more than $13,000. To date, Boender and his associates have given $41,000 to Gutierrez and more than $55,000 to Carothers. Boender initially worked with the city's plans to attract industry, including an agreement to build at least one heavy-duty truck ramp from the rebuilt Central Avenue Bridge that spans the site, records show. But over time it became clear that Boender had different ideas. After suggesting numerous industrial firms to the developer, city planning staff noted in memos that he "was unwilling to work with them." Eventually Boender told the city he wanted to build homes and a commercial development instead. Planning Department staff resisted, and the behind-the-scenes battle over Galewood Yards culminated in a summer 2004 meeting where city planners told Daley they opposed Boender's changes. After that meeting, Gutierrez faxed his letter to Daley's office. In it, Gutierrez said he understood a planner had told the mayor Boender was a "bad guy of sorts." "I absolutely refute this characterization, " he wrote. He reminded Daley that the mayor was particularly "delighted and supportive" of Boender's redevelopment of the Illinois Bell building in the late 1990s. "I would ask for any support that you can give him at this time," Gutierrez wrote. He noted Carothers and Ald. Emma Mitts (37th) backed the project, which is split between their wards. Over the next 18 months, Boender and the city reached a compromise. Land west of Central Avenue would be sold—with the help of city tax breaks—to the laborers union for a training center. The land east of Central Avenue would be rezoned to allow construction of a 14-screen movie theater and nearly $60 million residential development of 187 single-family homes, townhouses and condos. Boender's project reached the Chicago Plan Commission in March 2006, where he was represented by lawyer James Banks, whose uncle chairs the City Council's Zoning Committee. Carothers and Mitts praised it. Carothers compared the economic impact of the Galewood project to architect Santiago Calatrava's proposed lakefront Spire, which the commission approved the same day. "It took a long time to bring this together," Carothers told commissioners. "I think when it's done, that it will be said that this is one of the greatest projects you've seen in Chicago in some time." Mitts took a more personal approach: "I'm really excited and trying to see my way through [to] acquiring one of those homes." Mitts, however, never moved in. In an interview Tuesday, Mitts said she made a down payment last year on a Galewood Yards home but backed out of the deal because she "could not swing it" financially.